Gorgeous Casablanca dress that comes with custom long sleeves to match the dress if wanted. Dress is currently sleeveless as shown in pictures. Bought two dresses and decided to go with the other. 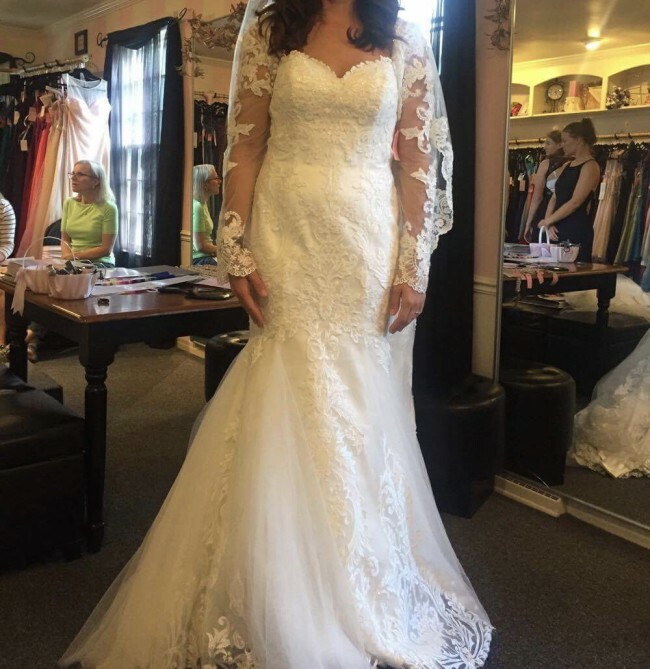 Dress has never been worn and only stored at the bridal store. Dress has no alterations.